Jamb 2018 Change Of Course/Institution: Before I go straight into the procedures for Jamb 2018 change of institution and course, You may want to read the stories in the first few paragraphs below to be convinced about the action you are taking. 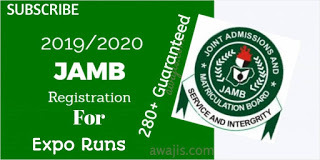 For one or two reasons, you would want to change the institution or course of study you filled in Jamb 2018/2019 registration form. If this is true, then you are not alone. Right now, Jamb is even telling candidates to do change of institution. Below are other major reasons why Jamb change of course is necessary. 0 Response to "JAMB Enables Portal for Change of Course/Institution"